My daughter, whom I swear I just brought home yesterday, is gracefully settling into college. Ask AF: How Do We Find Role Models Who Share Our Child’s Race? We're white and our son is black. I'm ashamed to admit that we do not have any black relatives or friends. Will it seem offensive and shallow if I try to befriend someone simply because they are black? Our seven-year-old biological son seems to swing between feeling left out because his siblings (both adopted) have "other families" to feeling that they can't be part of our family because they have "other" families. In an interstate domestic adoption, it's not always clear-cut which state's laws will apply to the process. 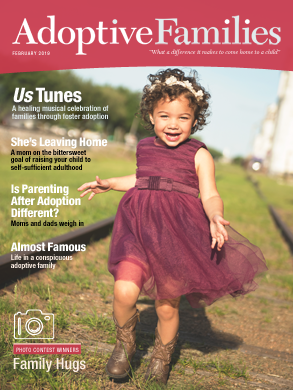 An adoption attorney explains how to determine "choice of law." How do you respond to family members who say they don't understand why you're adopting? 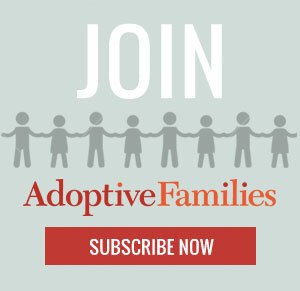 Members of AdoptiveFamiliesCircle share their advice. The document we receive is not called a Mothering Certificate, it's a Certificate of Live Birth. So why isn't the birth mother's name on there?